As Kohli became the fifth batsman to score 10,000 ODI runs for India, he gives cricket lovers the right to expect greater heights. In March 2008, a teenager from humble origins in West Delhi represented India in Under 19 World Cup in Malaysia. India beat South Africa by 12 runs, and bagged the Cup. Those crucial runs by Duckworth–Lewis (D/L) method were courtesy the teenager from West Delhi. Albeit an unknown face, he was a prodigy, and was waiting to burst onto the cricketing scene. Brilliant performance in the U-19 tournament and decent innings in the IPL the same year, expedited his entry to the league of big boys. Virat Kohli had become a household name from being an unknown entity within a year. When he made his ODI debut for India on August 18, 2008 against Sri Lanka, in the rival team’s home ground, he could manage only 12 runs before getting out — an unsure kid looking to find his place in the senior team. A decade and 213 ODI matches later, Virat Kohli becomes the fastest-ever batsman to reach 10,000 one-day international runs. Seventeen years ago, in a match against Australia, Sachin Tendulkar walked into what was then an unchartered territory by scoring his 10000th run in his 259th innings. 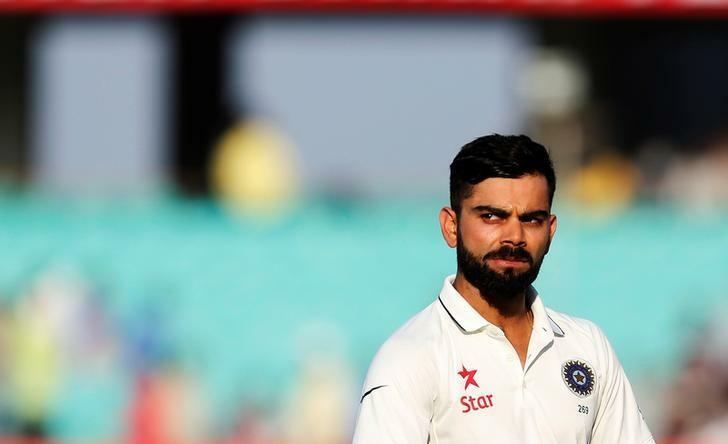 Kohli reached the mark in his 205th innings, thereby beating Tendulkar by 54 innings. Post his retirement from international cricket, Tendulkar has expressed his desire on multiple platforms that he wants to see another Indian cricketer topple his records. Virat Kohli has certainly made the Master Blaster proud. Virat Kohli’s rise to the pinnacle of Indian cricket is both inspirational and magical. He is now the fifth Indian batsman and the 13th overall to reach the coveted 10,000-runs club in ODI cricket. Apart from Kohli, Sachin Tendulkar, Sourav Ganguly, Rahul Dravid and MS Dhoni are the other four legends. If one were to chalk a map of Kohli’s career as a cricketer, there would be two broad spectrums — before he became the captain of the team, and post-captaincy. He was always a talented player — one who could bat well against both pace and spin attacks, besides running fast between wickets, fielding and catching. We got a glimpse of his capabilities in the first five years of his career when he was part of the team that won the World Cup 2011 and Champions’ Trophy 2013. His all-round performance earned him the deputy captaincy under Mahendra Singh Dhoni in 2013. During this period, he was batting well and being a responsible team player. However, as a player he had not yet ‘arrived’. He was still making those odd mistakes. He had failed miserably as a batsman during the Indian team’s tour of England in 2014, and had issues with short balls besides struggling against late swinging balls. However, none of these deterred him. The overall transformation from a chubby boy who joined the team, to the matured leader he is today, must have extracted its share of sacrifice and dedication, besides an unending hunger to succeed. Kohli worked hard on his shortcomings and the result is for all to witness today. Ever since he took on the mantle of captaincy, his game has reached a superior level of excellence. His contemporaries can only dream of reaching those standards. The leadership mantle has helped him elevate his game. World cricket is changing drastically. New records are being set every other day and new faces are walking the pitch. However, Virat Kohli is scoring runs, irrespective of the opposition, pitch condition, or match situation. He delivers what is expected of him with ease and élan. Today he looks fit, calm, focused, and content with life — and that reflects in his game. Virat is a captain who leads from the front and sets the bar high. He plays hard and trains harder. Under the circumstances, sharing a dressing room with this man can be tricky. He expects the same standards from his team. While it is not easy to replicate his game and his standards, one can either get motivated or succumb to insecurities. His teammates should vie for the former. Kohli is 29. The other ODI legend — MS Dhoni, who joined the 10,000-runs club a few months ago, is 38. Dhoni will play the last World Cup of his career in England in 2019. 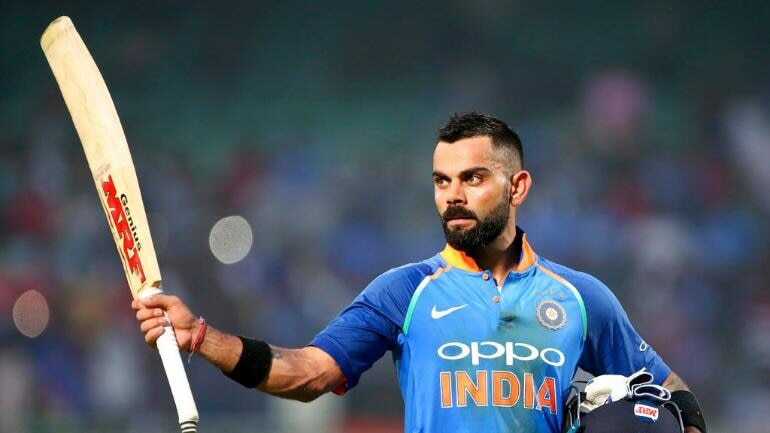 Assuming Virat stays positive and fit until the 2027 World Cup, one cannot even fathom where he would be by the time he chooses to end his career. If he is around in his fully motivated avatar until 2027, no ODI record is safe. He is a man on a mission to set new standards in world cricket, much like a falcon seeking newer highs. It is for all to see that his excellence is anything but mundane. The man continues to bag runs steadily and consistently, and is in no mood to stop anytime soon. As cricket lovers we have no reason to complain.